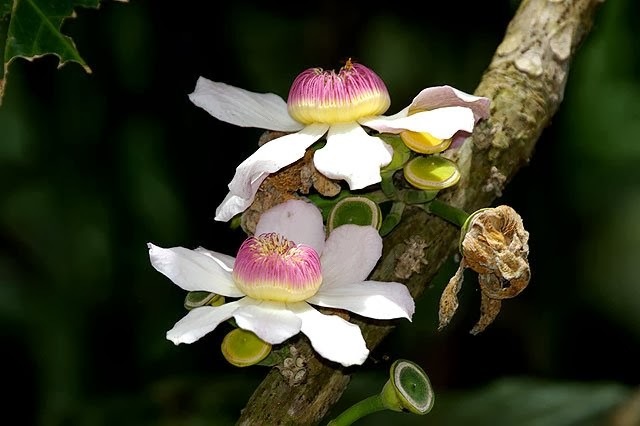 The Heaven Lotus - Gustavia superba, is a small tropical tree or medium sized shrub, native to tropical South America. 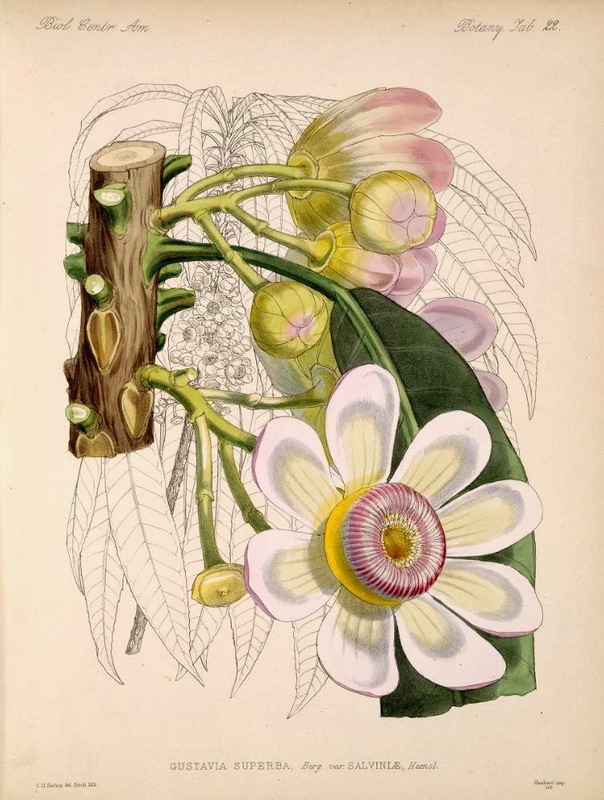 It was first discovered in Panama in 1873 by Osbert Salvin, an English naturalist best known for co-authoring a 52 volume encyclopaedia on the natural history of Central America known as the 'Biologia Centrali-Americana'. Gustavia superba is just one of 41 species within this genus, many of which are are listed as endangered in the IUCN Red List of Threatened Species. Be that as it may, Gustavia superba is actually abundant in regrowing secondary forests. The natural habitat of this evergreen species stretches from the north of South America, from Panama south through the Andes as far as Ecuador, and along the Caribbean coast. It is also found in the Amazon basin. Gustavia superba grows naturally as an understory tree and can reach heights of between 5 and 10 metres. It does best in well-drained soils, but only with plenty of moisture present. While it will tolerate a shady position, it will always do best in full sun so long as it can receive enough water. It is a slow growing tree and branches little until mature. Its leaves tend to radiate giving it a palm-like appearance. The attractive leaves reach lengths up to about 50 cm and are a favourite food of iguanas. The sweet-fetid scented flowers appear in the spring and each one will last just for one day. The are approximately 10 cm across are borne directly at the wood. This is known as cauliflory, a botanical term referring to plants which flower and fruit directly from their main stems or woody trunks rather than from new growth and shoots. It produces rounded pear-shaped fruit, inside which are several large seeds about 4 cm in diameter. These are dispersed by agoutis, a number of species of Central and South American rodents. 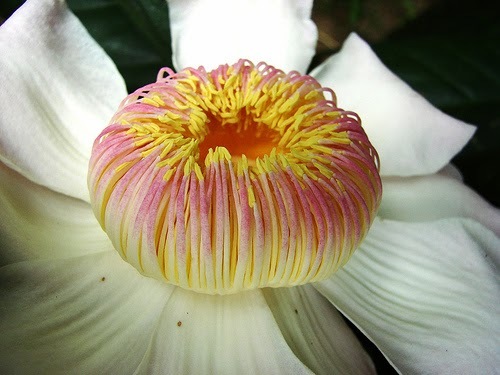 The Heaven Lotus tree is rarely seen outside of its native habitat but they have been planted in several tropical botanical gardens such as those at Singapore and Australia. The Heaven Lotus tree is suitable for growing in pots, but because of its tropical origins it will need growing temperatures of between 25 and 35 degrees Celsius. It will require a very well-drained compost and plenty of water. There is little climate change over the course of a year in its native habitat so do not allow temperatures to drop below 20 degrees Celsius. The lotus tree can be kept in full sun, but may need to be moved to semi-shade in excessive temperatures.